Karen Hamilton, back row, far left, here with members of Riverview High’s 4-H club, is a 35-year teaching veteran who currently teaches agriculture at Riverview High. Jurassic Park, the first one, was breaking box office records; Barney was the most popular toy at elementary schools and Michael Jordan retired the year Karen Hamilton led her first 4-H meeting at Riverview High School. The four Hs on the organization’s clover logo stand for: Head (Mental development. Deeper knowledge and reasoning); Heart (Emotional development. Developing interest, appreciation and wholesome attitudes); Hands (Skills development. Ability to do, skill in doing and habit of doing); Health (Physical development. Understanding and appreciating a growing and changing body). 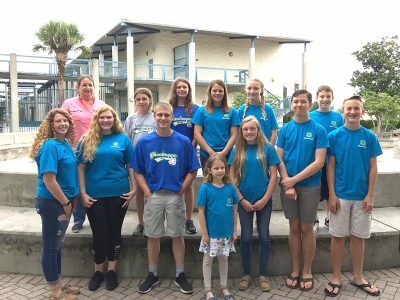 “This year we are focusing on public speaking, genealogy, microwave magic (where students learn to cook with a microwave), and then we will do a unit on small engines,” said Hamilton who was in a 4-H club at Charlotte High School in Punta Gorda as a teen. Her father was an Ohio dairy farmer until the family moved to Florida when she was 6. Picking their own projects is a hit with club members, said Owen Baylor, a Riverview 10th-grader with six years in the club. While agricultural education remains a keystone of the program, the 4-H philosophy of ‘learning by doing’ now extends to a variety of projects. It’s not all about animal husbandry or agriculture, a common misconception. “A lot of our kids also have those animal projects, raising pigs for the fair or have diary animals or rabbits or chickens. We help them with those projects at the club meetings but we also want them to see what else is out there, so 4-H includes sewing, cooking and robotics (among other things). It’s a very broad spectrum for the kids to learn. I want them to try new things and build those life skills that they will need to be a successful adult,” Hamilton said. An unpaid volunteer, Hamilton thinks little about the time she devotes to the club. “She’s very hands-on and makes sure everyone is included,” said Spencer Baylor, an eighth-grader at Randall Middle School who has been part of the Riverview High 4-H program for six years. Younger students are eligible to join the club. Spencer has learned about growing crops, aquaculture, rocketry and woodwork among other things in the club. The Riverview High Chautauqua 4-H Club meets at 6.30 p.m. Riverview High School, 11311 Boyette Road, on the first and third Tuesdays of the month. 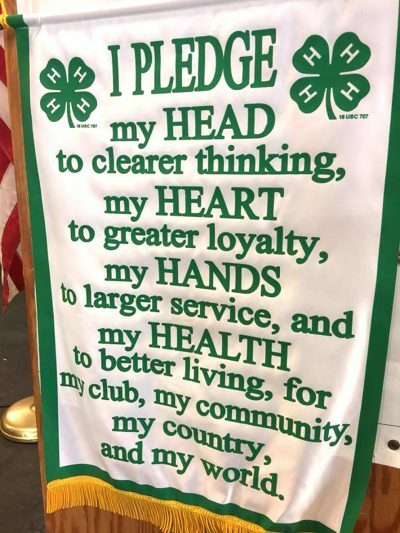 For more information on your local 4-H club, call the Hillsborough County Extension office at 813-744-5519, or email Charles Poliseno at cpoliseno@ufl.edu or Brandi Yancy at brani54@ufl.edu.